In the self-grinding/semi-self-grinding process, critical size particles, called hard stones, are produced, which are the sieved portions of the self-grinding and semi-self-grinding discharges after sieving. The particle size range of the hard stone is generally 25 to 90 mm. These ores are too large in size and cannot be broken by other bulk materials in the self-grinding process. They cannot be broken by steel balls in semi-self-grinding, and the particle size as grinding media is too small. The existence of the stone causes the input power of the mill to be constant, and the cyclic load is increased, resulting in an increase in the unit energy consumption of the grinding. In addition, if there are too many critical dimensions in the mill, the grinding process will change from impact-based to grinding-based, resulting in over-grinding and making the product too fine. Therefore, self-grinding/semi-self-grinding machines are often stubborn. Stone crushing equipment combines applications. The particle size range of the hard stone is generally 25 ~ 90 mm. The traditional cone crusher is a hard rock crusher. The product size is still relatively large, and some of it may still be within the particle size range. The hard rock crushing effect is not good. 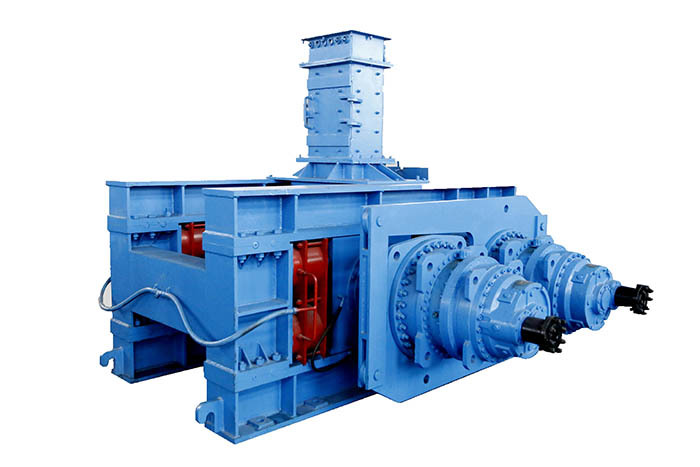 The high-pressure roller mill is used as the stone crusher. The product has finer particle size and can effectively solve the problem of stone. After the stone is pressed by the high-pressure roller mill, if the fine powder content is high, it can be directly classified into the subsequent ball mill. mine. As described above, the high-pressure roll mill is used as a hard stone crusher in that there is a problem that the yield of the hard stone is small and the grain size of the hard stone is large. Under normal circumstances, the stone is first crushed by a cone crusher and then into the high-pressure roller mill. Figure 2 shows two typical high-pressure roller mills.